Do you want to know how your school rate when it comes to the number of board passers in the Philippines Regulatory Commission (PRC)? Here are the top 150 Schools and Universities in the Philippines. 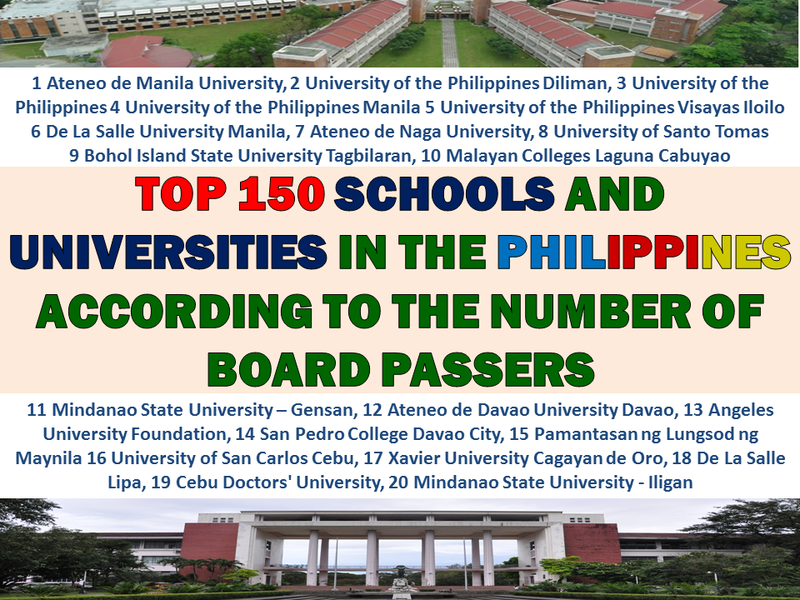 There are over 60 different board exams conducted by the PRC, and FindUniversity.ph aggregated the results from those board exams, ranked each school in each board exam, and then aggregated the rankings for each school, to come up with a Weighted Board Exams Ranking for each school. Note that the ranking displayed here contains schools that were ranked in at least 7 board exams. The full Methodology is available at the their page. Should you have questions regarding the ranking please visit their website or contact them. Want's to pursue college but lacking financial resources, the Commission on Higher Education (CHED) is now accepting applications for scholarships under State Scholarship Program for the coming academic year 2017-2018. Under the Scholarship Program, applicants may be qualified as a full scholar, partial scholar, or PESFA scholar. Full Scholarship (FS) - Intended for high school graduate whose General Weighted Average (GWA) is 90% or its equivalent in the third year and at least 90% in the first three grading periods of the fourth year, who will enroll in identified priority courses in duly authorized public or private (higher education institutions) HEIs. Full scholars will receive financial assistance worth PhP30,000. Partial Scholarship (PS) - Intended for high school graduates whose GWA is at least 85% or its equivalent and for graduating high school students whose GWA is at least 85% in the third year and at least 85% in the first three grading periods of the fourth year, who will enroll in identified priority courses in duly authorized public or private HEIs. Partial scholars are set to receive PhP15,000 per academic year. Private Education Student Financial Assistance (PESFA) - Intended for high school graduates whose GWA is at least 85% or its equivalent and for graduating high school student whose GWA is at least 85% in the first three grading periods of the fourth year, who will enroll in identified priority courses in duty authorized private HEIs. PESFA scholars will receive PhP15,000. 4. passer of Alternative Learning System or Philippine Educational Placement Test. 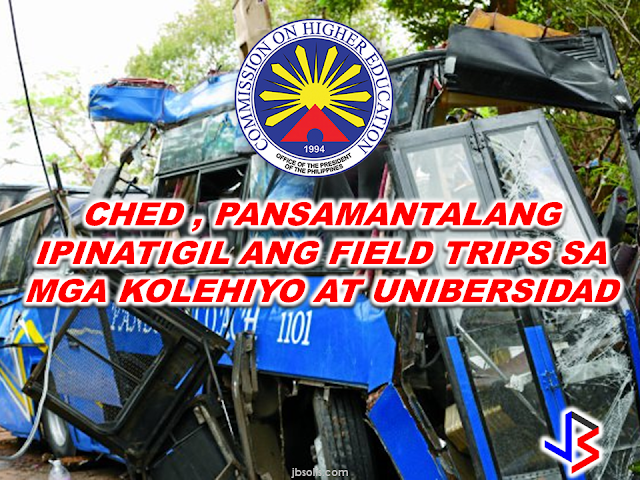 An official of Commission on Higher Education (CHED) called for a moratorium on all field trips and educational tours in all private and public colleges and universities following the tourist bus accident in Tanay, Rizal that claimed 15 students lives and left more than 30 others injured. CHED Commissioner Prospero de Vera III said that until the investigation on the incident is completed, a moratorium is needed. "I will request the Commission en banc today to immediately issue a directive to all higher education institutions so we can properly investigate this tragedy and review current policies covering field trips," de Vera said. Initial investigation said the bus with college students from Bestlink College on board was bound for a medical and survival training for their National Service Training Program (NSTP) subject when it lose brakes while traversing a curved highway.The uncontrolled bus rammed an electric post and a nearby tree along Magnetic Hill in Peligrini Farm, Sito Baykan, Barangay Sampaloc, Tanay, Rizal. "While it is true that field trips are essential to give students the opportunity to see and explore new things, enhance their learning experience in a natural setting, and provide for interest-driven and hands on training, the safety of the students on field trips must be ensured at all times by school authorities," de Vera added. 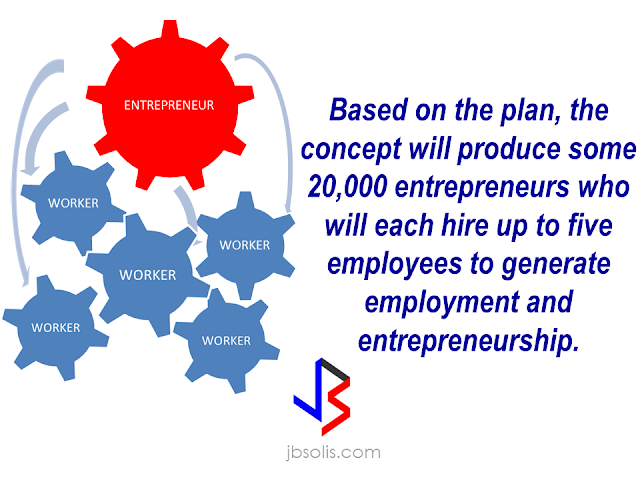 Technical Education and Skills Development Authority (TESDA) said that with the launch of “skillspreneurship” concept which aims to provide skills training in entrepreneurship for the graduates of Training for Work Scholarship Program (TWSP) and other scholars of the agency, they will produce around 20,000 new businessmen. The concept will also provide the government the opportunity to widen the coverage of providing skills through the development of entrepreneurship. The government agency has coordinated with the Department of Trade and Industry (DTI) and Department of Labor and Employment (DOLE) for the implementation of entrepreneurship and livelihood program, according to TESDA Director General, Secretary Guiling “Gene” Mamondiong.